It can be a real challenge to choose healthy snacks when your schedule is crazy or you’re commuting a lot. But I’m going to give you four great ideas for healthy and quick snacks to eat wherever you are. The whole concept of snacking is relatively new in our culture, and has been made much more acceptable by clever marketing from the big food companies. Just to add to the confusion, there are as many professional opinions on snacking as there are flavours of tortilla chips. The eastern philosophy of Ayurveda does not advocate snacking and teaches a more ‘fill your boots’ approach to set day time meals. And yet, supermarkets, mini marts and service stations are stacked with endless varieties of snack foods to keep us going during our hectic schedules. Because many of my clients come to me with low energy and hectic schedules, snacking can be a tricky area to get right. If you feel you really need to, eat healthy snacks. Also, bear in mind that what works for you now may not work in the future. Keep checking in with yourself and make adjustments. Have you ever been en route to an important appointment and just knew you wouldn’t get through it without an extra hit of energy? Did you stop by the mini-mart and grab a bag of crisps or chocolate to see you through? Or maybe a vending machine coffee or energy drink? Did it do the trick? You got through the meeting/class. Were you either depleted or buzzed for hours afterwards? Neither is good for your body! If your answer is “yes” to any of the above, it’s time to hack your snacks and make choices that will keep you energised without the unwanted buzz long after you needed it or the frustrating slump that often follows. Because these on-the-go pick-me-ups can be transformed into an opportunity for healthy, natural sustenance and it really doesn’t take much extra work – Just a dash of inspiration and a little forward planning. Here are 4 of my clients (and my own!) favourite, healthy on-the-go snacks. 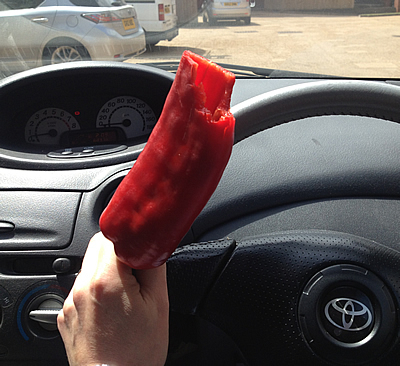 If you are not sensitive to nightshades, bell peppers are a really convenient snack food – you don’t even have to cut them up, just grab it whole and crunch your way through it. As a woman, I really like the fact that eating a bell pepper whole won’t leave me with a tide mark of lipstick on my face the way that biting into a big, round apple often does! They also win out in the vitamin C stakes in comparison, having a whopping 117mg of it compared to an apple’s average of 4mg per 100grams. These are the perfect protein snack to keep you sustained between meals, but also if you have an early start and breakfast was sacrificed. Just put them on to boil while you’re getting dressed then wrap in a clean tea towel to grab and go. 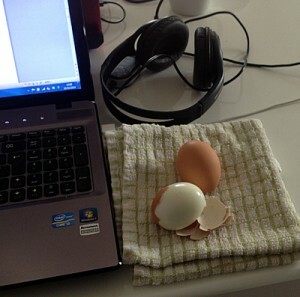 They are self-contained in their own handy packaging, and I can often be seen in a car park before a meeting just peeling my egg into the tea towel and munching it in a couple of bites! 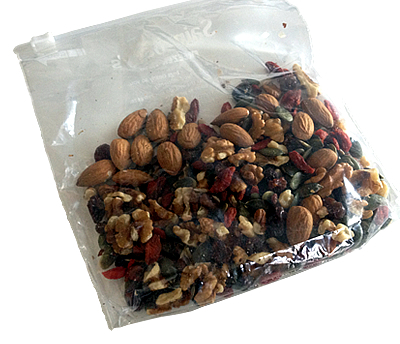 Instead of grabbing that not-so-healthy, secret-sugar-laden ‘Energy Bar’, take a few minutes to throw some raw ingredients into a zip-lock bag. This way, you can choose your favourite flavours and get great nutrition when you need a lift. Raw cacao nibs – energy-boosting superfood and a natural chocolate hit! With just a little imagination, you can steer yourself away from the candy counter and look at the pre-packed veggie offerings in a whole new way! This is a really easy way to increase your raw food intake and benefit from nutrition in its most natural form. Look for stir fry packs and individuals such as sugar snap peas or baby corn, which incidentally will satisfy a sugar craving too. 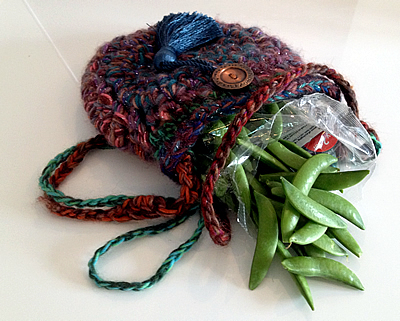 So, are you up for the challenge to turn your snacks into healthy energy boosts? 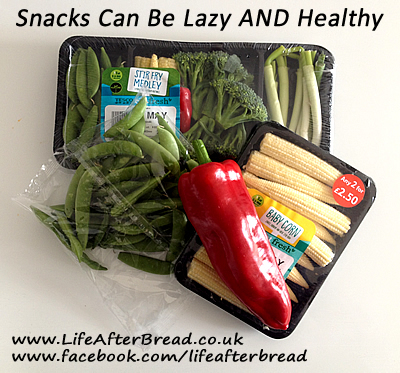 Please post a comment and tell me your favourite snack – healthy or not so much. If it isn’t so healthy, what could you swap it for that would help you toward your health goals?